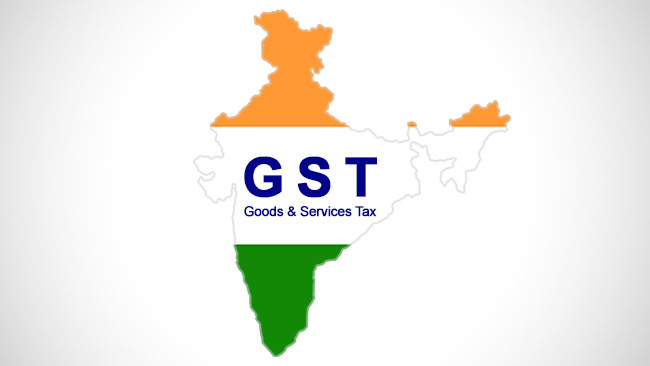 The Indian government has proposed a revolutionary taxation scheme called GST 2017, which will be eliminating all the indirect CESS and VAT taxes. The motive to eliminate these indirect taxes is to bring uniformity in tax system across all the states and territories of India. The major benefit is pertinent to small and mid-sized service industries and businesses. There is also an exemption of GST for exports under some categories. But if you are a freelancer/service provider, earning money in foreign denominations working through UpWork, PeoplePerHour or any of such online platforms then you are in for good news. Let’s have an insight on these particular provisions in GST 2017. If you are a firm or a freelancer earning money by providing your services overseas, GST 2017 will surely entice you. GST 2017 exempts all such industries and services from paying any taxes. Although, there are two conditions. In simple words, if the service industry or a freelancer earns money from foreign sources there is no upper limit for it, and the income is going to be free from paying tax under GST. But there surely would be some capping crossing which you will be needed to at least file your income to the Government, though not pay tax on it. The minimum income after which you need to file your income will be revealed by the Finance Ministry soon. Whereas, if you earn money by providing services to Indian clients, the income up to Rs.20 lacs will be free of taxes (Source here). Suppose you, as an individual or firm, have an annual turnover of Rs. 1 Cr and 80% of your turnover constitute services provided to foreign clients and 20% income is from services rendered to Indian customers. So, as per GST 2017 your 80% revenue or Rs. 80 lacs will be entirely free of any taxes owing to its foreign origin (Source here). Remaining 20 lacs are earned from Indian clients so still this money will be exempted from any taxes (Source here). Along with that, you would receive a tax credit for the 80% of your foreign income which you could use to redeem on your other revenues. Conversely, consider the same example above only with the difference in your Indian income. Let’s say you earned Rs.25 lacs from Indian clients, so as per GST 2017 you are liable to pay tax on it. But, as you have also received a tax credit on 80 lacs of your foreign income you will be eligible to claim it on additional Rs. Five lacs that you have earned above the specified limit of revenue coming from Indian sources. Currently, the rate of the tax credit is not in place as per GST 2017. But very soon it will be revealed. The tax credit is issued to encourage industries/service providers to bring in the foreign currency in the country. The Government saves vast sums of money on currency conversion when you bring the external currency through your business. Hence, they pass a fraction of their saving to you in the form of Tax-Credit. When a firm or an individual work online and earns money from foreign sources they get the money after deducting the currency conversion commission. The gateway or the payment processing firm (mostly intermediary) deposits your fees to your concerned bank account. But the catch here is that most of these multinational payment gateways have bank accounts in all the major countries, including yours. So when they transfer your fees, they do it from their bank account present in your country. It is where you need to worry. As the money you are earning is not coming from the foreign source but your own country’s another bank account. If a government scrutiny initiates, it would be fairly difficult for you to prove the foreign origin of your income. In such cases, you can request for the FEMA certificate from your foreign-currency-processing gateway. The Foreign Exchange Management Act, 1999 (FEMA) is put in place by Indian Government to facilitate the foreign currency exchange for firms and individuals. Under this act, you need to provide a certificate issued by your payment processing company. This document includes all the details and technicalities regarding all your past payments. It is through this certificate you can prove the foreign origin of the money you are earning. It is quite advisable, especially if you are working as a freelancer, to get FEMA certificate. GST 2017 has made it absolutely worth providing your services to national as well international clients. There are few technicalities you should take care of though. Have FEMA certificate and keep an eye out for the Tax-Credit percentage which is the process of finalisation. Apart from these, GST 2017 is going to be an ideal facilitator for Service Industries and freelancers.